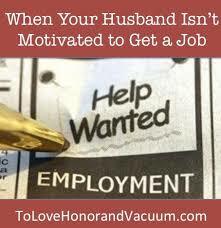 I have recently noticed in our society a growing breed of lazy men becoming” house husbands”…. They stay at home all in the name of doing “business” the nature of their business could be straight hustling, pursuing government contracts, real estate, oil and gas, politics just to mention a few. The funny thing is that it is not only in my dear country Nigeria but also common amongst Nigerians in diaspora… I see their wives climbing the corporate ladders, becoming nurses, having stable jobs while the said husbands stay at home pretending to pursue a dead end business, becoming comfortable in shirking responsibilities and allowing their so called wives to take it all, yes all the bills and they are okay with it… phew! Where are their values, culture, why are they exhibiting such behaviour, are they trying to adopt a western culture in a very bad way… is it their upbringing, peer pressure, or they are living in a fantasy world… what is the answer? So it might be 10 years since their last paid job or contract… but pride being a nasty thing, they never want to start over, never want to go back to paid employment and we women keep enabling laziness and the so called fantasy…. My thoughts what are yours?